This ad has been favorited 3110 time(s). 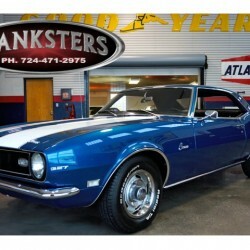 Hanksters now offers to you this brilliant dark Blue numbers matching 1968 Chevrolet Camaro stock # 68CAM2423 from the muscle car era. 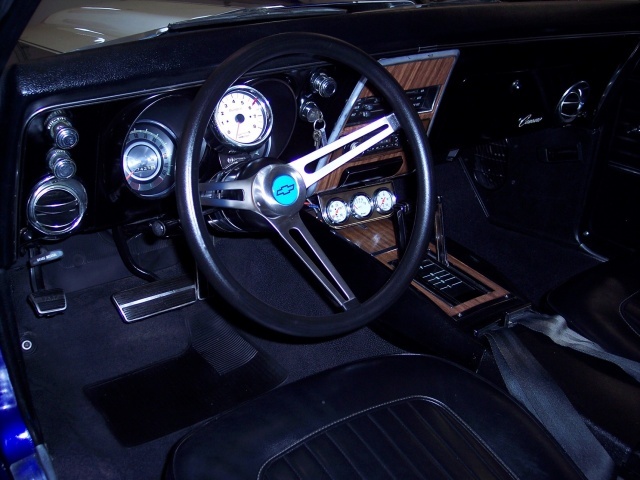 Our 1968 Camaro has a beautiful Blue exterior with the White Z-stripes over the hood and deck lid of the car. This Camaro has the corresponding 327 front fender emblems to identify the numbers matching engine. It also has the 2 inch steel cowl induction hood, front air dam and rear spoiler. To complete the exterior of the car, this Camaro is equipped with 15 inch chrome Cragar SS wheels and BFGoodrich Radial TAs 205/60R15s on the front and 255/60R15s on the back. This classic Chevrolet Camaro is guaranteed to turn heads. All trim and glass are in great condition on this car. 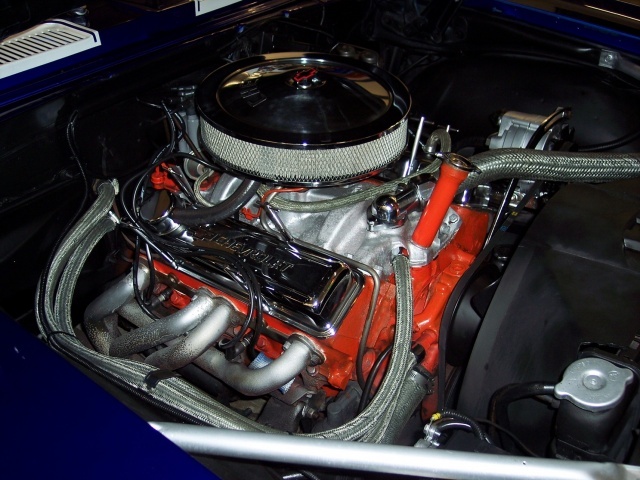 It is equipped with the numbers matching ME code 327ci small block Chevy engine, Powerglide automatic transmission, 10 bolt GM rear axle and housing, power steering and manual 4 wheel drum brakes. This car is in great condition. There are no disappointments with this classic. This Camaro runs and drives out very nicely. Classic muscle car looks, straight body and solid undercarriage make this 1968 Chevrolet Camaro a fun car for any Classic GM muscle car enthusiast. More details below. Hanksters offers Free Standard Shipping on every vehicle in stock to all of our customers within the U.S. Offer only applies to full retail price offers to customers within the 48 Contiguous States.